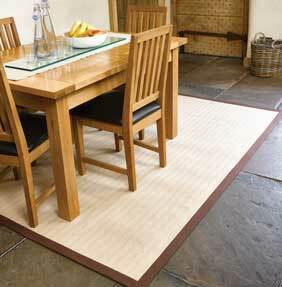 A distinctive new flat-woven collection of natural fibre jute rugs with a cotton border. Natural Fibre rugs are handmade in India, the jute pile is woven in a herringbone pattern and looks clean and contemporary, ideal for traditional or modern decors. Jute by its very nature is hard-wearing making it ideal for use in rugs or mats. Choose from 5 different colours, all made in 6 sizes, including large sizes and a long hallway runner.